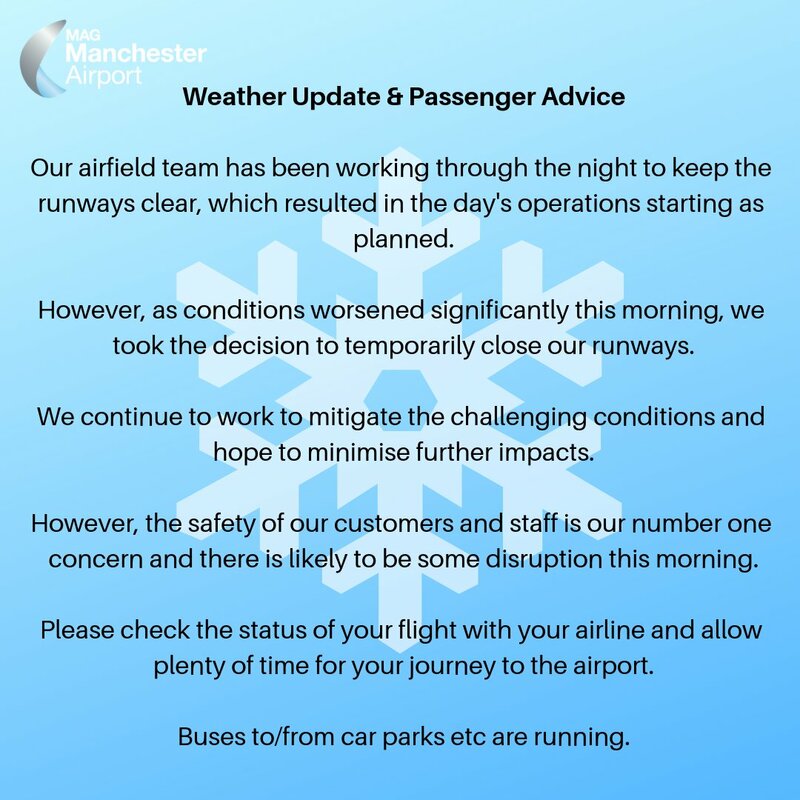 Manchester Airport remains closed due to snow. Road conditions are said to be hazardous throughout the region say Highways England. #M56 has long delays in both directions this morning, however there is now a stranded HGV on the #M56 J5 eastbound exit for @manairport #ManchesterAirport .. the slip is currently blocked.. we’ll update you asap.